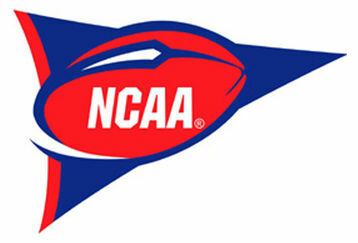 This weekend there is great action going all across the country in the college gridiron. While some events in Florida, such as the LSU at Florida game, have been postponed due to Hurricane Matthew touching down in the “Sunshine State;” others, like Florida State at Miami, are still on schedule. Two struggling defenses square off in Norman, Oklahoma when the Longhorns visit the Sooners. Even though both teams arrive to the Red River Rivalry game with .500 marks, don’t expect this battle to be boring or lacking in points. These two teams really dislike each other and despite lacking talent in some areas of their game, they will more than make up for it in effort. This will be a high-scoring affair that will provide plenty of fireworks for the folks attending Owen Field. The linemakers see Oklahoma as favorite at -11 and the total for the game is at 73. Stanford was drubbed 44-6 by the Washington Huskies last week and will try to rebound against the struggling Cougars who won their last game (51-33 vs Oregon), but are allowing 294 passing yards per game and are ranked 85th in total defense. Stanford are on an eight-game winning streak against the Cougars and the oddmakers think they can make it nine as they see them as seven point favorites, while the over/under for the game is at 58. In another game that could be postponed Miami has the opportunity to prove that they deserve to be a top 10 team. This will not only be a close game because of the rivalry and animosity between these two teams, but because the Seminoles’ 17th ranked offense will be more than a worthy opponent for the Hurricanes’ seventh ranked defense. The main problem for the ‘Noles will be to stop Miami’s 20th ranked offense in the country with a unit that is allowing 191.2 rushing yards per game. Miami’s line is at -2.5, while the total for the game is 107. One of the most anticipated games of the week, with huge implications for both teams, and great expectations from fans and media alike. The Vols should be careful not to fall behind in this game, because they will probably not be able to come from behind to win against the Aggies as they did in four of their first five games. A & M has the 13th best running offense in college football and are more than capable of running out the clock in the second half. Oddmakers like the chance of that happening as the Aggies line is at -7, while the over under for the game is 57. Plenty of points are expected in this PAC 12 North match as both teams are scoring over 32 points per game. The Huskies 53rd ranked offense will try to take apart a defense that is allowing 210 rushing yards and 280 passing yards per game. Fortunately, Oregon’s offense is the best weapon to counter the flurry of points allowed by the Ducks defensive unit, as they are ranked 16th in the country with 263.4 rushing yards per game and 248.6 passing yards per game. This week, that will not be an advantage as the Ducks offense meets a Huskies defense that ranks 15th in total yards and 18th against the pass. Overall the Huskies may prove to be too talented for the ducks as they are picked to win by nine, while the total for the game is at 68.5.